Star Trek: The Original Series are going Tiki! This creative and colorful drinkware combines one of Sci-Fi's most-beloved characters with the unique stylization seen in traditional tiki culture. This ceramic mug is even top-shelf dishwasher and microwave safe. The Star Trek: The Original Series Captain Gorn 20 oz. 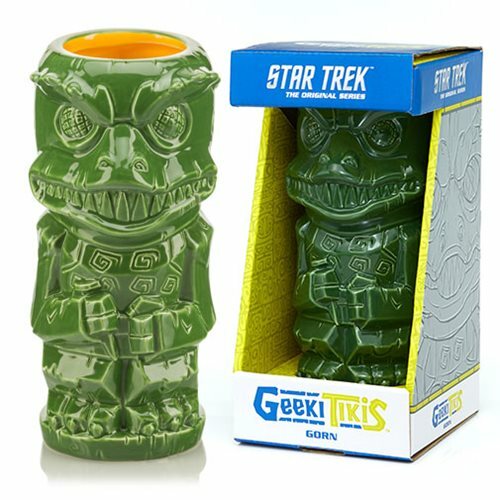 Geeki Tikis Mug is great for any Star Fleet cadet or Tiki enthusiast!